Forum > Community > Reading Nook > What Are You Reading? Thread: What Are You Reading? I just finished "The Dry", by Jane Harper. She's an Australian author so I don't know if she's available in the US, but if you like crime novels I'd definitely recommend it if you can track it down. She has a great gift for capturing the landscape and the atmosphere (it's set in a small town being slowly crushed by drought-induced despair) in a sparse yet descriptive style. Authentic & sympathetic characters & an intriguing storyline. Thoroughly enjoyed it. i js looked this up! It's got great reviews...thanks for the tip...i might js give it a look!! It just won the UK Crime Writers' Association's Gold Dagger Award for Best Crime Novel & has won numerous awards here in Australia, so it's obviously not just me who enjoyed it - it was her debut novel, too! I hope you like it! The Bird Box is a perfect October read. Once you start, you wont be able to stop!!! It's an apocalyptic novel that scares the crap out of you because of what you don't see! its all sensory and the monster in your brain is always the most terrifying. A Bargain at Twice the Price! 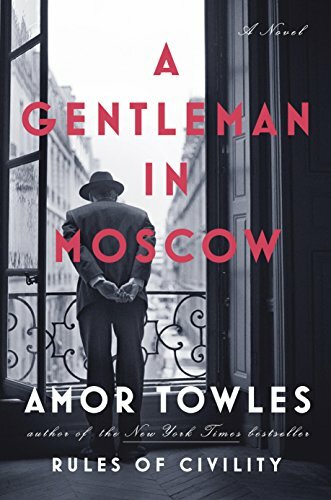 A Gentleman in Moscow: A Novel by Amor Towles. I can't put it down. The Screwtape Letters by C.S. Lewis. Dark humor. I love it. Would you bring reading material? What would it be? Scripture Herschel was reading last night? Would you keep reading if it was only carl?